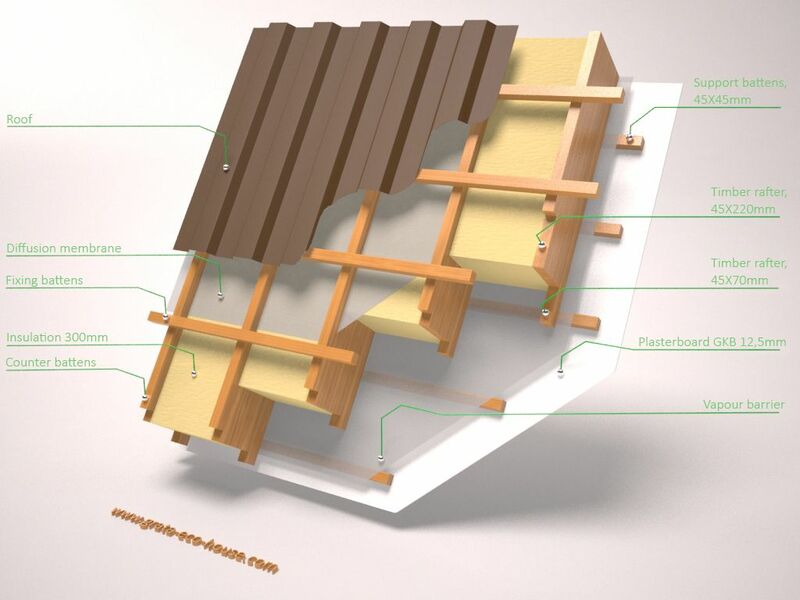 Owing to the perfection of modern building materials and further improvement of technologies, the timber frame panel construction method took its rightful place in the global house construction market a long time ago. Modern timber frame houses are as good as concrete or brick houses in terms of endurance, reliability and durability. A timber frame house is seen mostly not only as a weekend house, but also as a full-fledged family house. The architectural and structural designs of timber frame houses can be rather diversified, since they do not depend on non-uniform weight dispersal, which in case of conventional houses can lead to the rise in price of the foundation and change in the safety of structures. The precision and quality in production of individual details of a house remain rather high, since the overwhelming majority of such details are factory manufactured. This simplifies the house assembly at the construction site and minimizes error probabilities and human – factor dependence. A light timber frame house does not shrink and does not depend on the soil properties. Moreover, a relatively small weight of the house enables to save significantly on the foundation construction at the same time preserving its rigid structure and strength. Assembly of a timber frame panel house does not depend on the season and can be performed in any kind of weather. Furthermore, because of a high speed of erection of structures, the construction estimate would be much lower than in the case of brick or concrete houses and cottages. 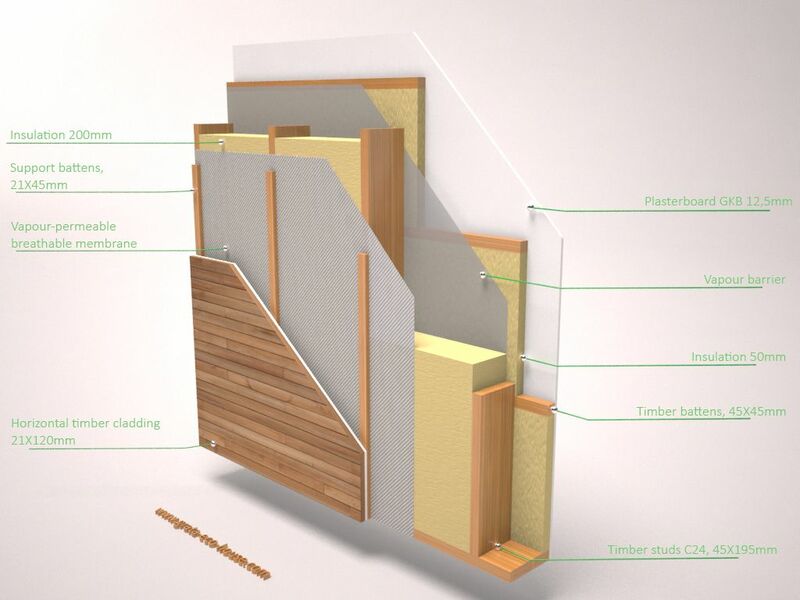 Since a timber frame panel house does not shrink, the internal finishing of the premises can be started immediately after the full assembly of the house. Unlike the brick or concrete works, the walls and floors of a prefabricated timber frame panel house exhibit a lower heat absorptive capacity and a greater heat protection. Such houses warm up much quicker in wintertime and keep warmth inside better, thereby enabling to cut costs on the consumed thermal and electric power significantly. 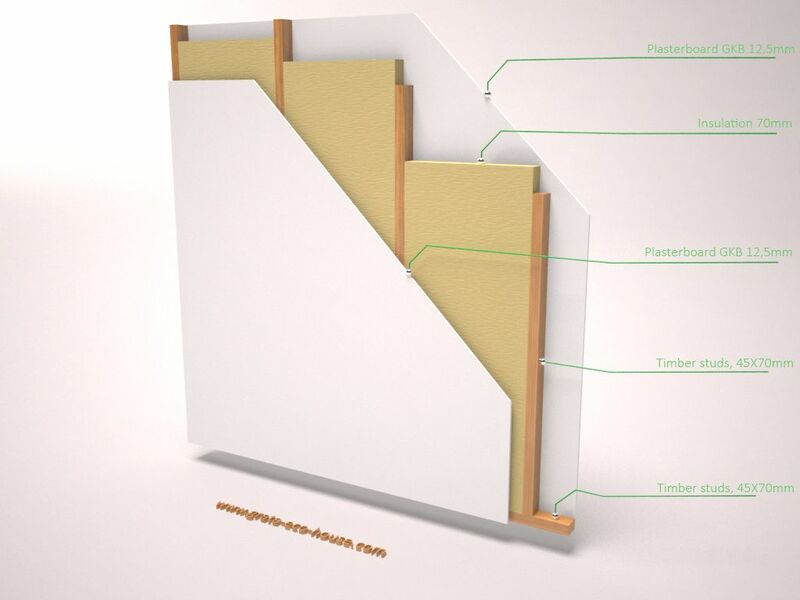 Timber frame panel houses use materials that impede inflammation of interior finishing (gypsum, OSB, rock wool). 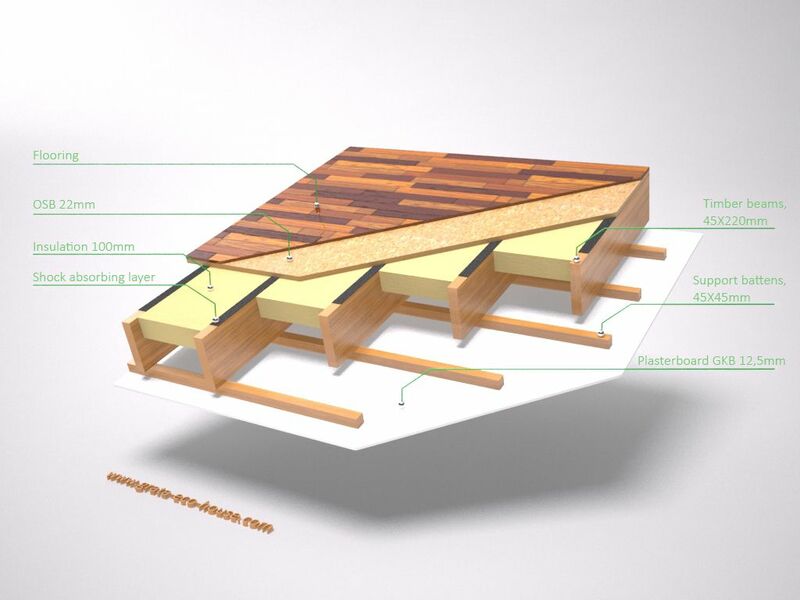 In case of fire, glued laminated timber beams that are used in the walls and floors of the house, only smoulder and do not lose strength with the rise in temperature, unlike reinforced concrete beams. A timber frame house is an ecological ‘breathing’ house. House structures incorporate special vapour and wind proof materials as well as ecological mineral wool, which allow for removal of extra moisture from the house without special airing systems, thereby enabling to keep warmth in winter. Besides, the materials used in the house production are free of any harmful chemicals, which are widely applied in the production of brick, concrete and aerated concrete. Such house enables keeping quite a comfortable microclimate throughout the year. 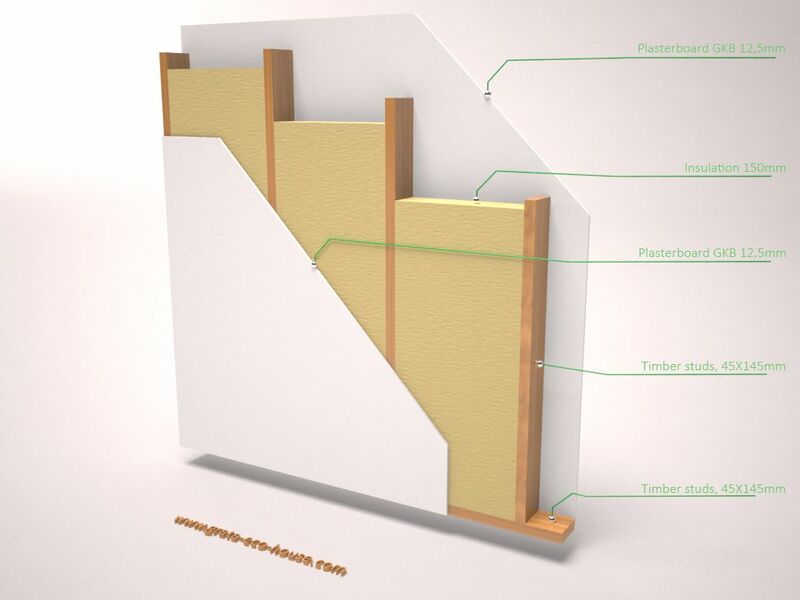 Materials used in the production of timber frame panel houses have a lower cost than bricks, metals and concrete. The foundation is lightweight which means a lower price accordingly. Exceptionally quick house assembly on the site. Consequent maintenance of a timber frame house incurs much lower expenses compared to conventional masonry/concrete houses. All of these factors combined make the timber frame house an unquestionable leader in terms of quality/price ratio.